The CID has filed an affidavit in the court alleging that Bhatt, currently lodged at Palanpur jail, is the “mastermind” behind framing Rajpurohit in the fake narcotics case. Bhatt, meanwhile, withdrew his another application through which he had sought his presence in the court during the hearing. 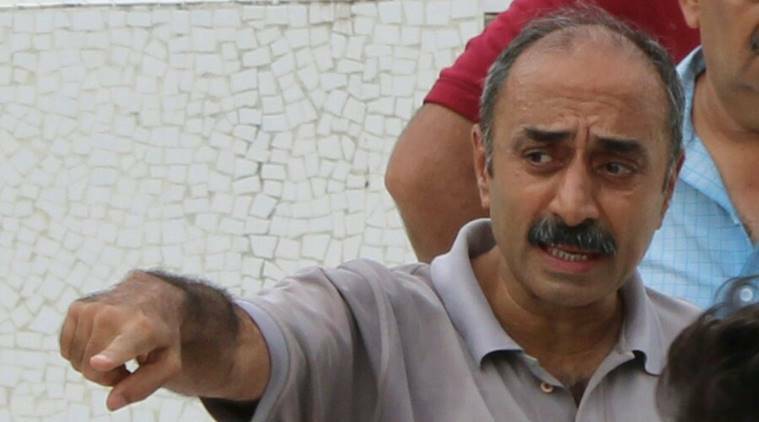 A Palanpur court in Banaskantha district on Tuesday rejected the application of CID-Crime seeking 10 days time to bring more evidence against dismissed IPS officer Sanjiv Bhatt in the 1996 alleged drug planting case. The court was to hear Bhatt’s regular bail application in connection with alleged framing of a Rajasthan-based lawyer Sumer Singh Rajpurohit in the 22-year-old case, when Additional Sessions Judge P S Brahmbhatt rejected the CID’s application, saying that “in the interest of justice, speedy hearing is required on regular bail application of applicant accused”. The court also rejected a similar application moved by Rajpurohit seeking time for filing an affidavit for opposing the bail application, while allowing Bhatt’s plea seeking expeditious hearing in his bail application. The court, however, adjourned the hearing to October 23 due to holiday and unavailability of Bhatt’s lawyer. The CID officials, involved in the probe, said that they had sought more time to find Bhatt’s “antecedent”. “In the affidavit we have mentioned four cases against Bhatt and we are trying to find more and therefore we had sought time from the court that before hearing the bail application allow us time to bring this aspect,” said an officer. The CID has filed an affidavit in the court alleging that Bhatt, currently lodged at Palanpur jail, is the “mastermind” behind framing Rajpurohit in the fake narcotics case. Bhatt was arrested on September 5 following an order of the Gujarat High Court in June ordering the CID to probe the case in which a lawyer Rajpurohit, a resident of Pali district in Rajasthan, in 1996 was booked for keeping 1.15 kg opium in a hotel room in Palanpur police station in Banaskantha district that borders Rajasthan. Bhatt was then SP of Banaskantha.